The little boy in the back of the pick-up is with two older boys. The two boys are in front of the trailer attached to the pick-up. 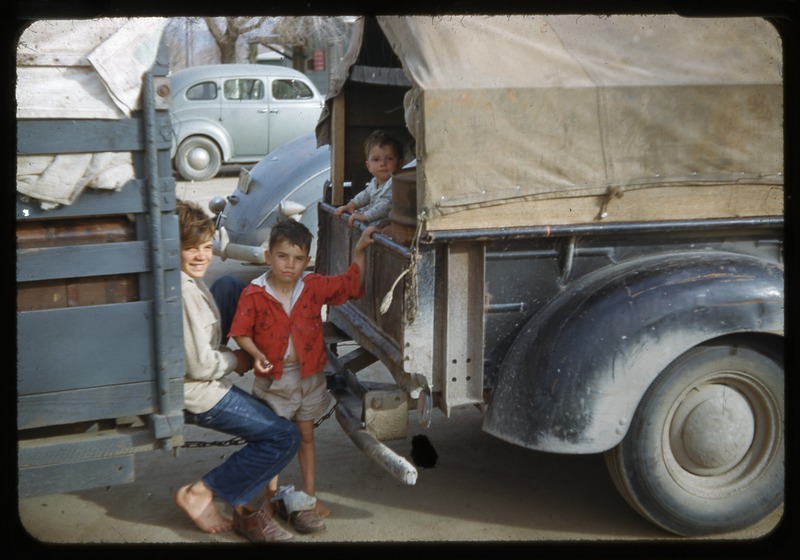 “Small Boy In Back Of Pick-up With Two Other Boys,” San Joaquin Valley Library System Digital Collections, accessed April 18, 2019, http://digital.sjvls.org/document/5690.